Unfortunately this works for both positive and negative energy, so it’s important to try to reign in the negative stuff, ‘cause it comes back in droves! So here goes — a lesson in the Law of Attraction. When we first purchased the Sympli line, shortly after opening our Sandbox location on Broadway and 9th St. over 10 years ago, we dabbled in the line's extensive collection. We stuck to a few basics (in black) and although we loved the line and it retailed well, it got lost in our small space. We weren't able to do it justice, and because of that, we eventually decided to leave it behind. After about 7 years in that location, we were offered an opportunity to become a tenant in a new development on Main St., which was twice the size! (And of course more than double the rent.) That is a lot of floor space to fill with product. We already had some strong brands, but needed another "anchor" brand. Re enter "Sympli the Best"! We already loved the line, and now with more space to devote to it, we felt it would in turn love us back. Today it is one of our most successful lines. Why? Many reasons! The fit, style and colour selection, quality, re-orderability, wearability, the fact that it coordinates well with other lines, is made in Canada, and has wonderful positive messaging for embracing women of all ages and sizes! Last but not least is the team of devoted, creative women behind the line. So as the "Law of Attraction" goes, enter Libby Ordel, our Sympli rep in Vancouver who works closely with founder Jan Stimpson. 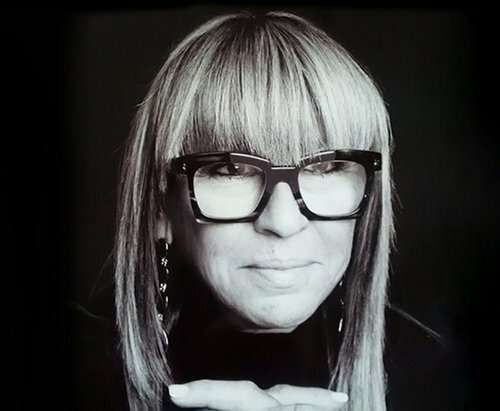 After reading a Sympli blog entry on their website, titled, "Style is an Attitude, Not an Age: An Interview with Style Icon, Libby Ordel”, we knew we had to share it. So much of what we do and what we believe in at The Sandbox is reflected in this interview. It’s well written and expressed in a no nonsense kind of way. Amazing how "like" is attracted to "like"! We hope you enjoy this Q + A with Libby and gain some insight into creating your own sense of style. Stay tuned for next week's "7 days of Sympli" Facebook posts. This is the perfect time to either freshen up your current Sympli wardrobe for summer, or, if you're a newbie to the Sympli line, get a jump start! The main factor is that I need to love it and I won`t buy anything that is uncomfortable ever. Price certainly does come into play and I am very happy paying as little as possible for the purchase; however, I will spend a lot on something that I know I will use for a long time. Handbags, shoes and fine jewelery are in that category and I know that quality and great style will last.